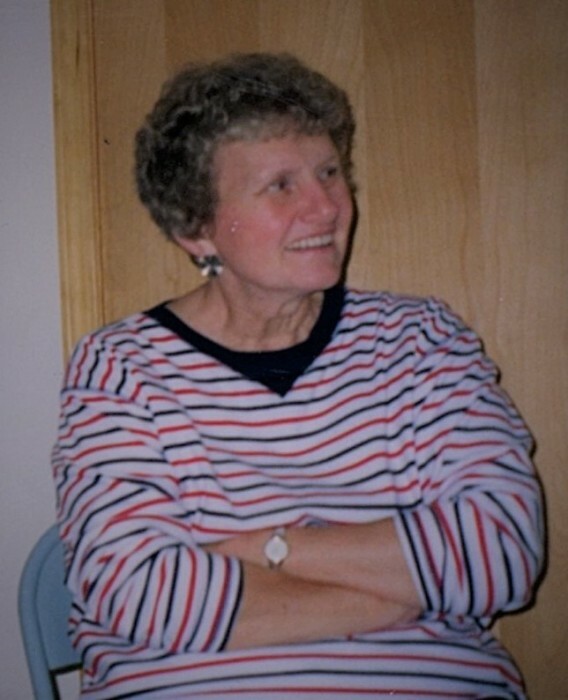 Arcade --- Joyce O. Francis of 37 Aristo Terrace and a former resident of Rushford died Monday, April 1, 2019 in Jennie B. Richmond Nursing Home, Springville. She was born on February 12, 1940 in Bliss, a daughter of the late Ally and Isabel Perkins Burdick. She married Walter Francis who predeceased her on December 18, 2017. Joyce was a former employee of Prestolite in Arcade. She enjoyed traveling especially to the Adirondacks, going to the casino, attending dirt track races with Walt and most of all spending time with her grandchildren and great-grandchildren. Surviving are her children, Rick (Patty Burdick) Francis of Rushford, Vicky (Randy) Bliss of Highpoint, NC, Greg (Carolyn) Francis of Rushford, Mike (Rita) Francis of Arcade, ten grandchildren, nine great-grandchildren, two sisters, Eleanor Ebert of Salamanca, Judy Covert of Batavia, a brother-in law, Laverne (Nancy) Francis of Batavia, two sisters-in-law, Irene Francis of Texas, Elaine Francis of Chesnee, NC and several nieces and nephews. In addition to her parents he was predeceased by three brothers-in-law, Norman Francis, Herb Francis and Melvin Francis and a sister-in-law, Lorraine Francis. As per Joyce’s wish there will be no visitation or services. Memorials if desired to: the Yorkshire Fire Department in Joyce’s name.